A 32" long fusion of technology and wild individuality.  Friend or Foe. You Decide! 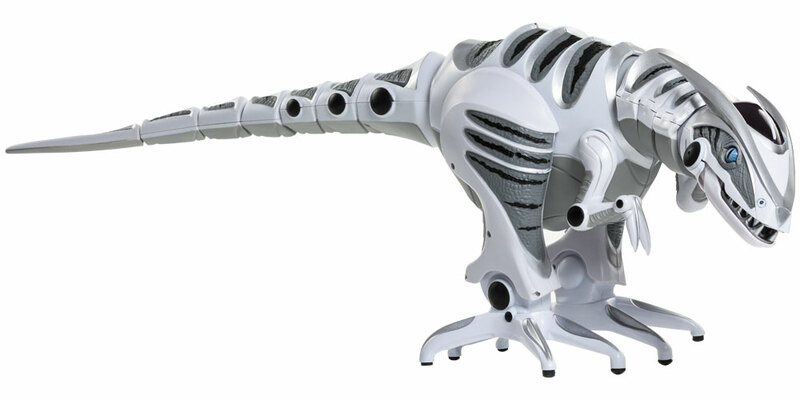 Roboraptor X is equipped with advanced sensors and technology. Sonic sensors lock onto sound, vision sensors see you, and touch sensors can provoke Roboraptor X to decide if your its friend, or next meal. 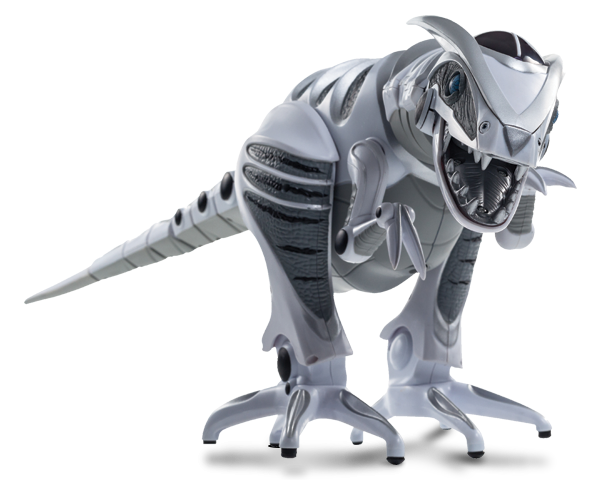 With its advanced artificial intelligence, realistic personality, biomorphic motions, direct control and autonomous behaviors, the age of dinosaurs has truly returned. 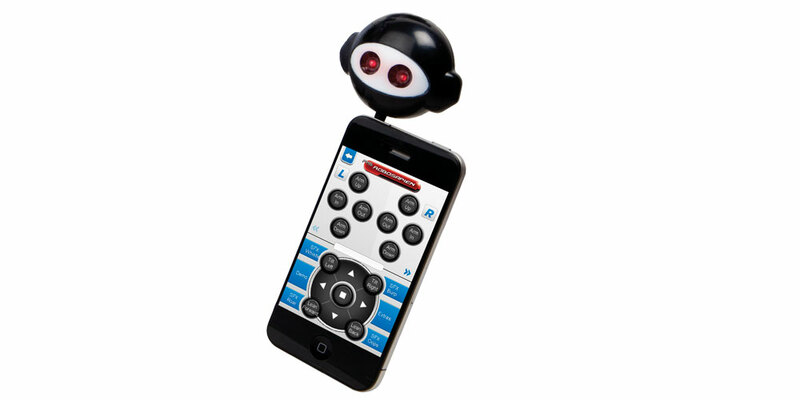 Use the included remote control or new IR Dongle to bring him to life! 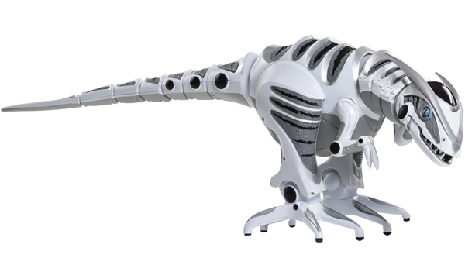 Programming Roboraptor is now easier than ever! 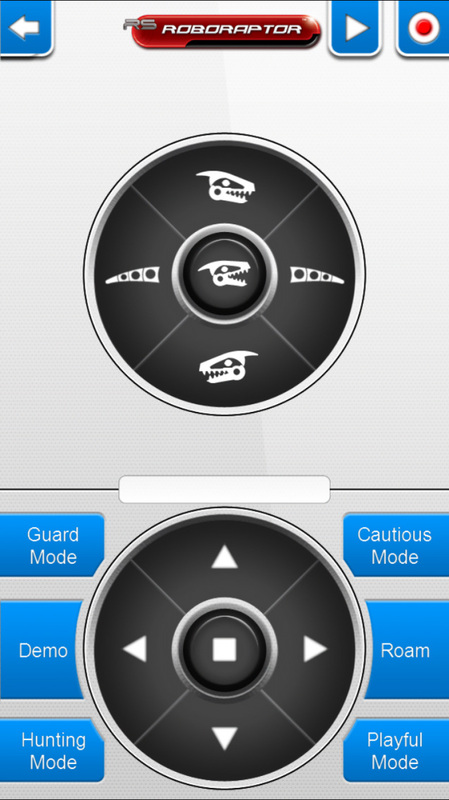 The Roboraptor App is easy-to-use and gives you direct control over its central processors so that you can decide who its next prey is! 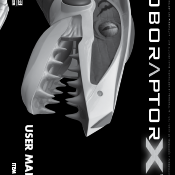 Roboraptor X boasts fluid bi-pedal motion, realistic body movements, 3 distinct moods, touch sensors and infrared vision. Fluid bi-pedal walking and other realistic neck, arm, and/or tail movement. 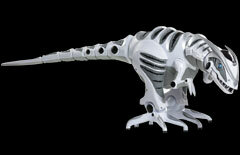 Like Roboraptor X, Have you seen Robosapien X? 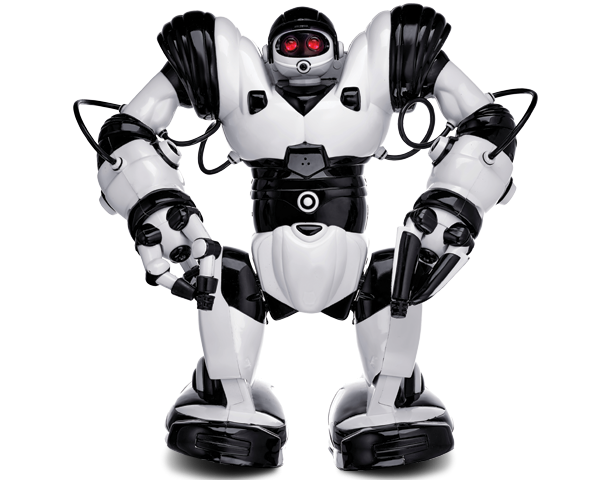 Robosapien X™ is an exciting update to WowWee’s award-winning iconic humanoid robot. 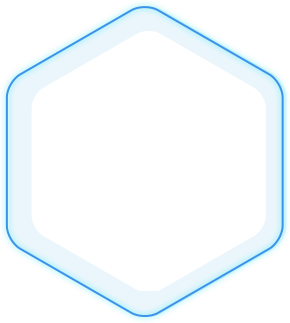 14” tall and designed by a NASA scientist, he’s fast moving, full functioned and comes to life using either the included controller or via iOS or Android device with the new IR dongle.